The Modern Barn® Architect Spotlight: Al Giaquinto of Plum Builders Inc.
Al Giaquinto is the president of Plum Builders, Inc., custom home builders and creators of The Modern Barn®. He is a Graduate Master Builder, Certified Graduate Remodeler, and Certified Green Builder with over three decades experience in custom home design-build. At 16, Al was drawing models of homes. His father was a builder and contractor, and Al went on to graduate from Brooklyn Tech with a major in architecture. While his advanced degree is in accounting and finance, Al always knew he wanted to build homes. Today, he’s president and CEO of Plum Builders, Inc., a design-build firm in East Hampton that he began with his wife of decades, Mary. Together, the Giaquinto’s built a company on the principles of integrity and quality that were instilled in them early on in their careers. Below, Al shares his philosophy of design and a favorite, signature feature of The Modern Barn. The primary purpose of architecture and design is to enhance the in-the-moment experience of day to day life. Conscious design development elevates the everyday experience of the space we pass through every day. Architecture at its most fundamental level is about texture, light, color, space, and material. The residential experience is what I’m most familiar with. It’s about how a family or an individual experiences his or her own space. My passion is to create space that makes people feel good; a space that brings a sense of wonder and personal power of expression to their lives. It’s about the belief that things can come together – that meaning can happen in this space. 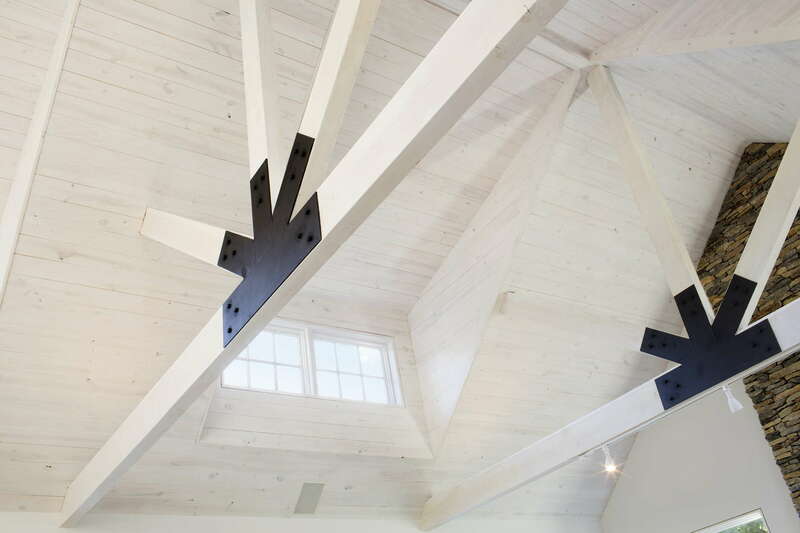 My personal favorite is The Modern Barn® room because it’s the essence of The Modern Barn style architecture. It combines space, light, materials, color, texture – and most importantly – glass, to bring the outside in and the inside out providing an organic sense of tranquility. Luxury, quality, enduring style, and comfort are my touchstones and those of our clients. The constant search to discover products that achieve the highest echelons of these attributes at a practical cost is a large part of the work of Plum Builders. Working class families, like the one I came from, lived in small rooms that were set apart for one activity, like sleeping or preparing and consuming food. The one room that was a large and open space was the lower level or the basement. As a child, we celebrated all the holidays in the one large open space of the basement. But in Italy, especially when the weather cooperates, the residential outside garden or the commercial interior courtyard of a local restaurant substitutes for the communal space. It’s where people come together to share the celebrations of life or the passages of life. Those communal rites have more importance in life today because they’re fewer in number as families have dispersed. At Plum, we study how people live – how spaces flow, the re-arrangement of space, etc. – based on modern lifestyles and lifestyle activities. What is going on in the Modern Mind? Glossy – the modern design aesthetic recognizes the power of shine and gloss. Silver tones are the most prominent. I think it represents a kind of purity – truth, clarity, cleanliness – and youthfulness. There is also a certain confidence in stone and metal. Smooth stone rather than rustic stone are the choices of the modern mind. Steel especially stainless steel because of its enduring quality, stability, shininess and low maintenance. Color has great power. First, we start with white, but it needs to be high gloss. Then, grey; grey represents a feeling of solidity, endurance, and dependability. Very close to grey in importance is blue, from very pale shades of blue to deep navies (not black). We have a business model that sets us apart from other builders and an exceptional build-design process. It’s proprietary and unique to our business. We’ve figured out how to build custom homes with incredible value by being intentional about how we communicate, organize, and plan. Because of the way we work at Plum Builders, efficiently and effectively in house, we are very competitive in this area. 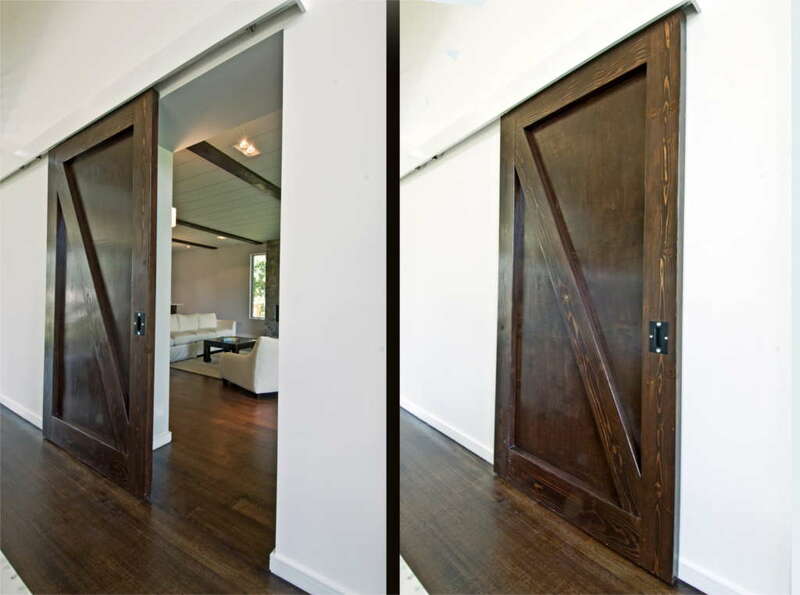 Our clients love the barn doors because they represent a solid interpretation of building materials. They’re oversized, two to three inches thick, and are usually hung on stainless steel tracks so they move smoothly. In The Modern Barn®, bedroom and bathroom doors are smooth slabs with one fine detail such as a line positioned at a strategic location on the piece of wood. I like moldings with fine lines. Lines identify space. There is well-being in defining space. I like base molding because it’s functional. Read more about the team at The Modern Barn or view our portfolio of featured homes.